GS Finance & Analytics Library is a component that can be added to a mobile app project to accelerate product development. It has built-in methods to process basic analytics and financial calculations. -Calculate monthly loan payments based on loan amount, interest rate, and term. 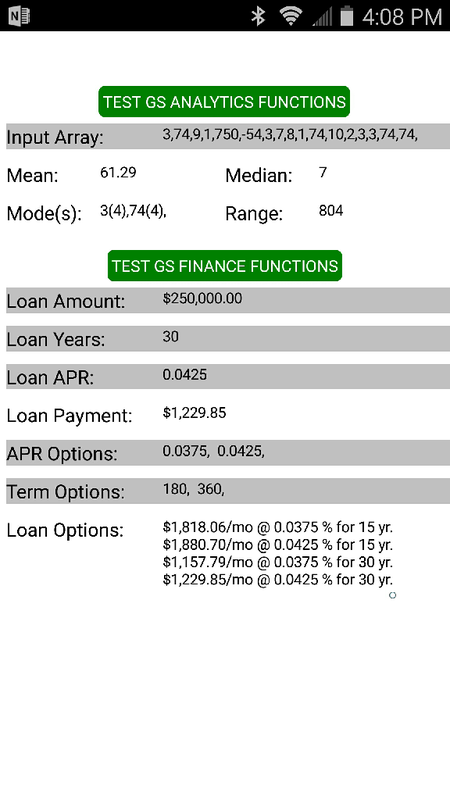 -Calculate loan payment options based on multiple interest rates, and multiple terms.